Calculates the developed length of a bended material. Simple application that shows the details of a specified RAL color. 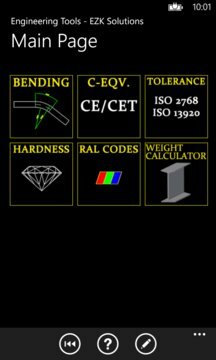 An application that calculates the weight of different profiles according to the latest EN standards (metric measurement). 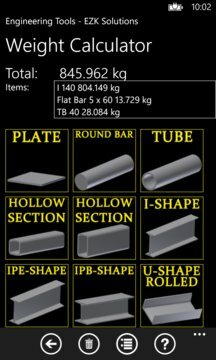 The type of the profile, give the length and choose the material/density of it can be selected. Simple statistical program that calculates the average, range, sigma, Cp, CpU, CpL and CpK of given values. Data can be also shown in graph.